UBCD4Win is a bootable CD-ROM containing all the necessary software to correct, restore, or diagnose any computer problem. The program completely free of charge, is built using the Bart's PE. UBCD4Win is in support of the network may interact with the systems NTFS, allows you to recover deleted files, create new partitions, scan hard drives for the detection of viruses, etc. To download UBCD4Win v.3.50 click the following link: (255,5 Mb, Freeware, Windows All). 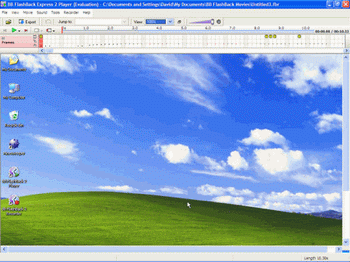 BB FlashBack is a relatively small program, which allows with a single key to record everything that happens on the screen of your computer. The resulting video can be stored in formats, Flash, AVI or EXE. The utility is simple to use, undemanding resources of PC, but, nevertheless, some indicators of losing their counterparts from other developers. To download BB FlashBack v.2.6.0.1103 click the following link: (7,4 Mb, Shareware, Windows All). 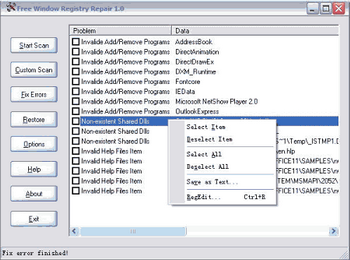 Free Window Registry Repair is a free utility for working with registry operating systems Windows, which allows you to correct the detected errors, remove invalid entries, broken links, etc. Regularly performing this procedure, you can increase the PC stability and get rid of the faults. The program automatically creates a copy of the registry, so that you can always revert to the original state of the system. 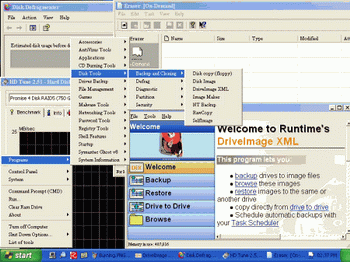 Free Window Registry Repair is simple and intuitive interface. To download Free Window Registry Repair v.2.0 click the following link: (779 Kb, Freeware, Windows All). IDEAL Administration is a software intended for facilitating an administration process of networks in Windows NT/XP/2000/2003 operating systems. It supports to work both on local and global Internet networks. Quick safe access to servers and working stations with the possibility to install and start applications scripts, work with data bases, full objects migrations between domains or servers, server monitoring, and others. To download IDEAL Administration v.9.2 click the following link: (21,3 Mb., Shareware, Windows all). 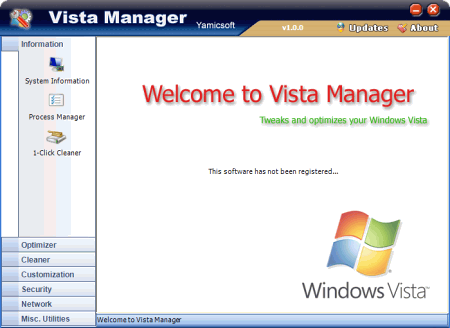 New update released of Vista Manager, the tool which will help you to optimize, to clean and to dispose the operating system Windows vista under your needs. This software contains more than twenty different utilities, which allow access to hundreds of usual and concealed parameters for speed tuning, system safety, cleaning and improvement on the network, by startup control and others functions. 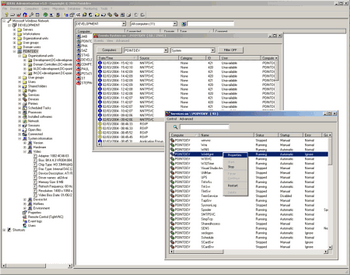 In the new version some internal modules are renovated. Feedreader is a free program for reading information in RSS and ATOM, which works under all operating systems older than Windows 98 with Internet Explorer 6.0 +. The main objective of Feedreader is reading and management RSS. The program has several modes of display (which are very easy to switch). Among the features worth mentioning the possibility of sorting news by tags, source and date, the ability to add new columns of information, the possibility of combining several streams, support Unicode and SSL connections. To download Feedreader v.3.14 click the following link: (5,6 Mb, Freeware, Windows 2000/XP/2003/Vista). Deskman SE is a small tool to ensure the safety and integrity of personal data from the encroachments of others. 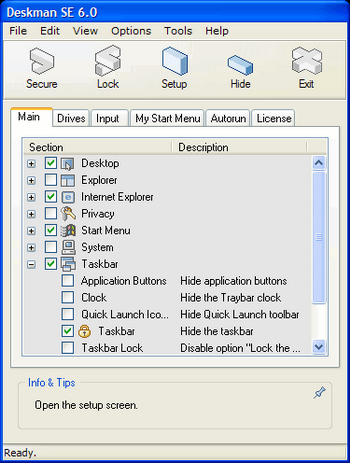 Deskman SE allows you to restrict access to sensitive information completely block your PC or install a special authority for each user group. To download Deskman SE v.9.1 click the following link: (1,5 Mb, Shareware, Windows All). Updated the small free utility Recuva, which was intended to restore files, removed from PC randomly or lost as a result of program failure or error in applications work. It is simple in use, it does not require special knowledge for successful use. In new version is added support for scanning audio, video and compressed files, new options are added, errors are corrected, user interface improved. To download Recuva v.1.26.416 click the following link: (3 Mb, Freeware, Windows all).